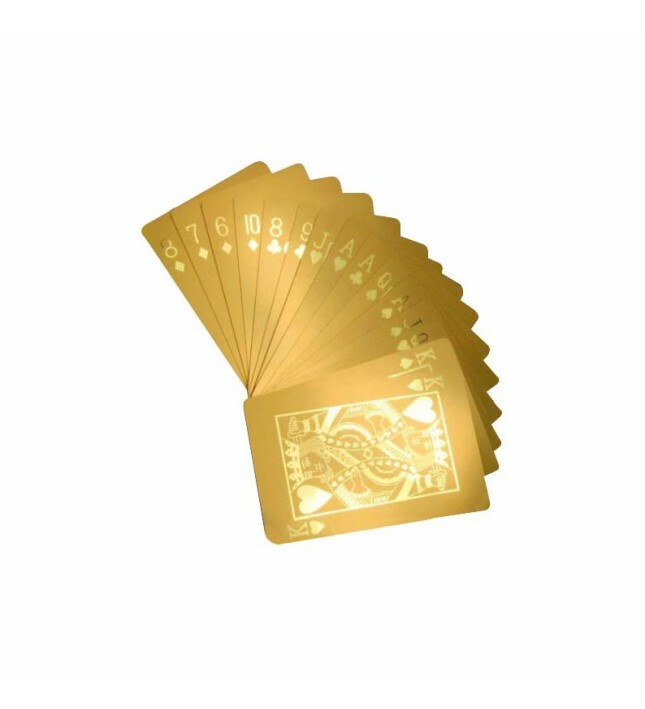 A superb set of playable 24 karat gold-dipped poker cards. Made to exacting tournament-grade standards. 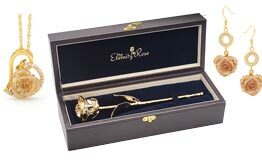 The detail is intricate and the craftsmanship exquisite. The cards are quite robust and intended for tournament use. 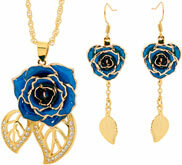 There are 100's of sets in use in casino high-roller rooms across the world. Presented in a quality cherrywood case. Fast dispatch and delivery. 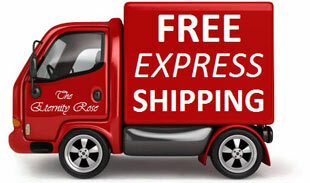 Orders are processed in hours and then booked onto express two-day transport free of charge. 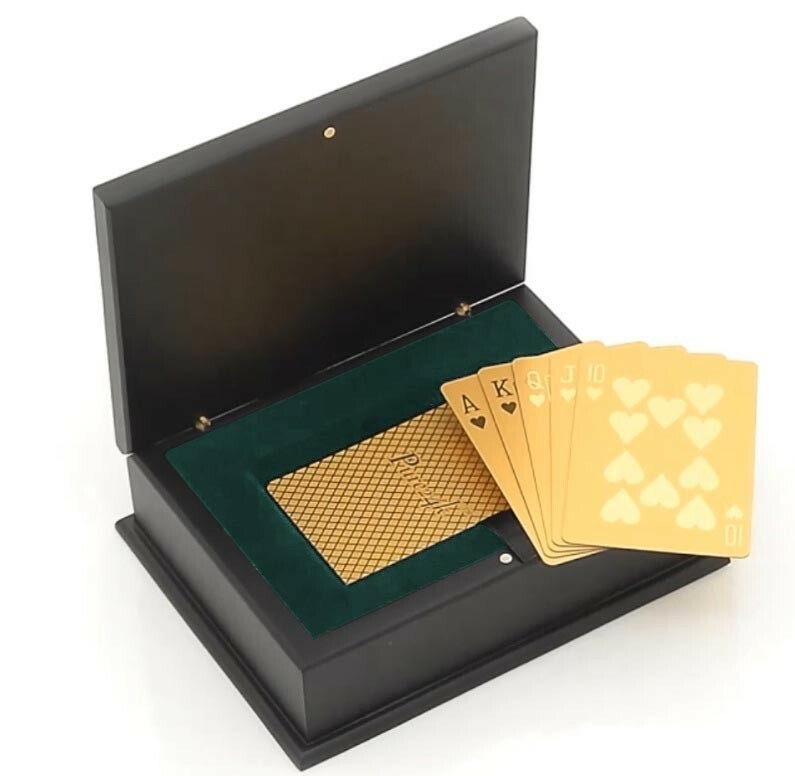 A complete set of beautiful and prestigious poker cards. There are 54 cards in total including two Jokers. These cards are quite robust and have been used in numerous poker tournaments, as well as casinos around the world. 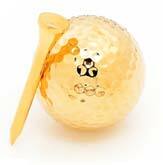 They are electroplated in pure 24 karat gold and have a brilliant and luxurious finish with fine detail. 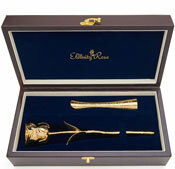 Whether used as a stylish display or for the next cards night, these cards are sure to impress. 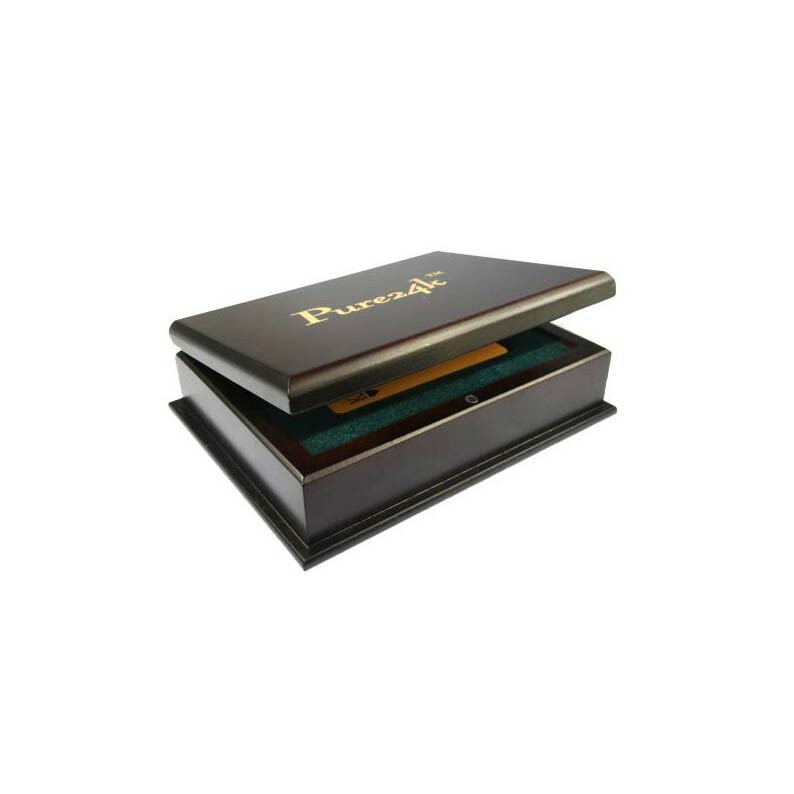 The set is presented in a stylish cherrywood box which is impeccably finished, and lined with dark green velvet. Each playing card is full size at 3.43" x 2.24". 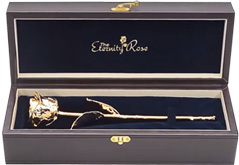 The presentation box is 6.3" (length) x 4.7" (width) x 1.8" (height), with its own certificate of authenticity. 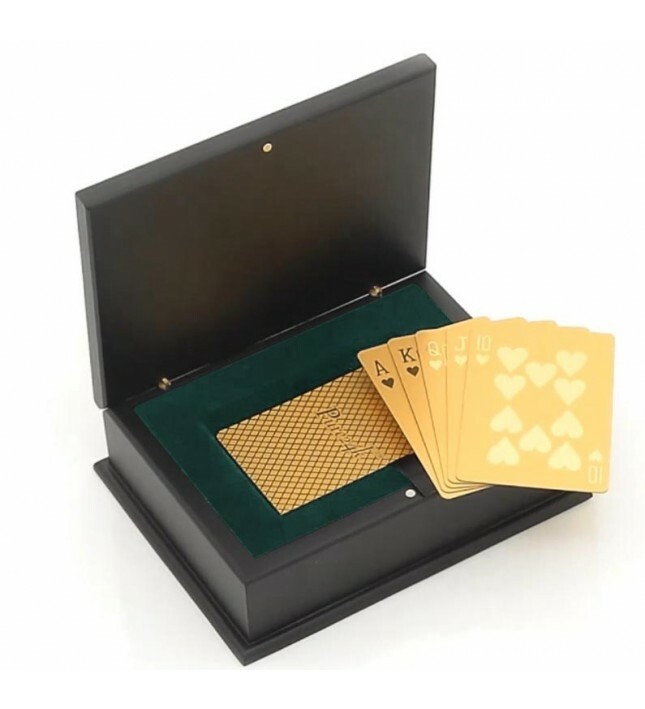 They make the perfect gift for any cards enthusiast.